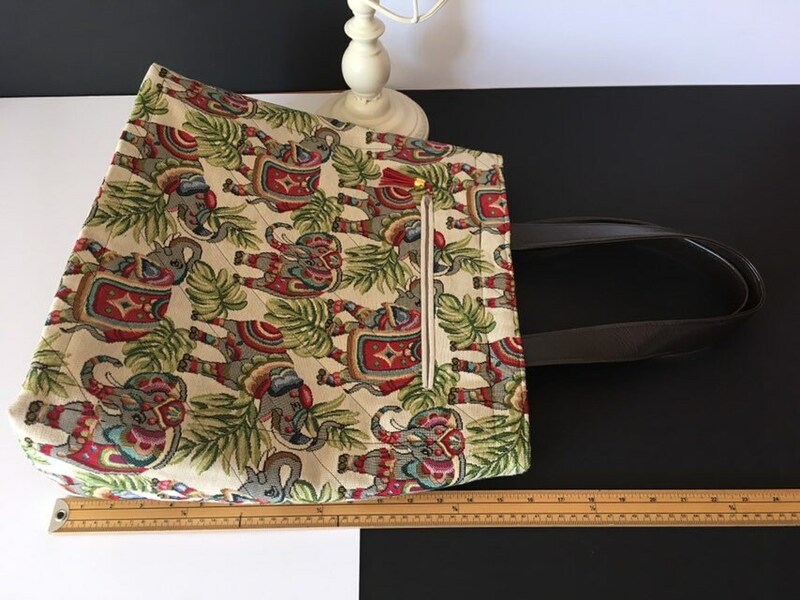 S - 885 Big bag - elephants ! 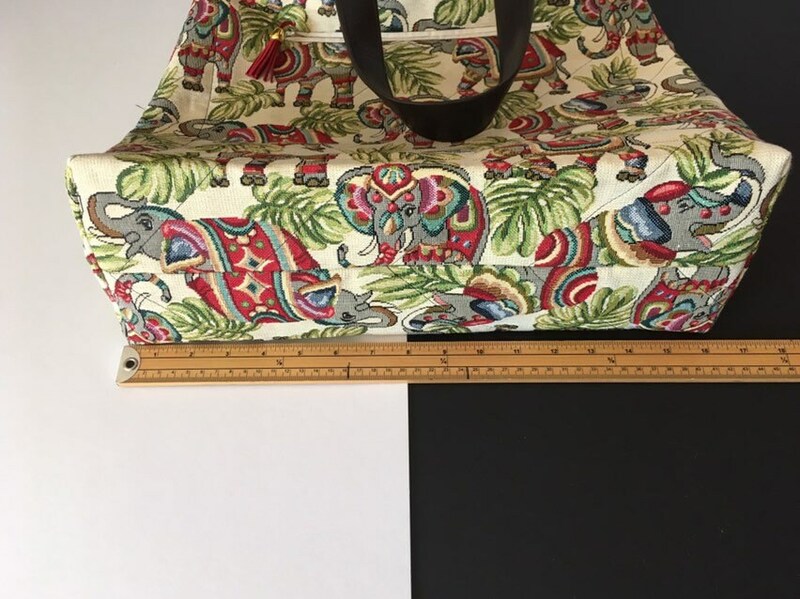 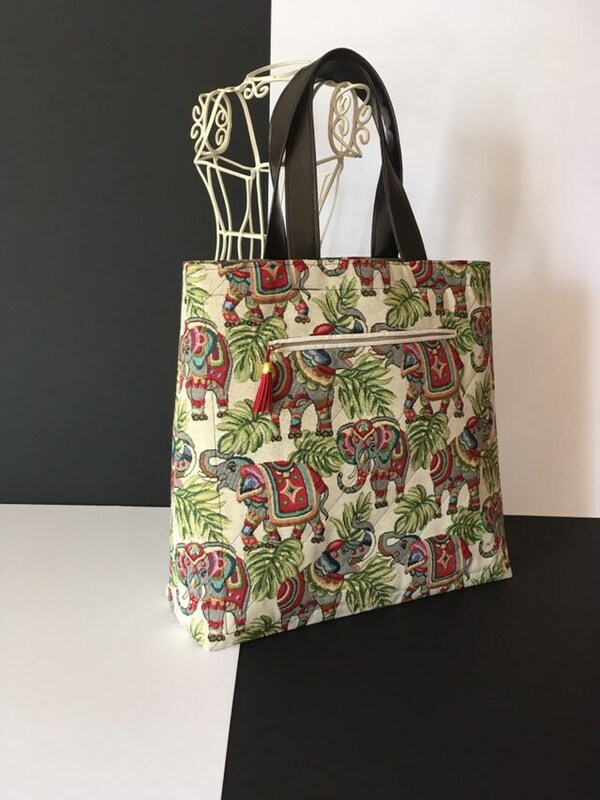 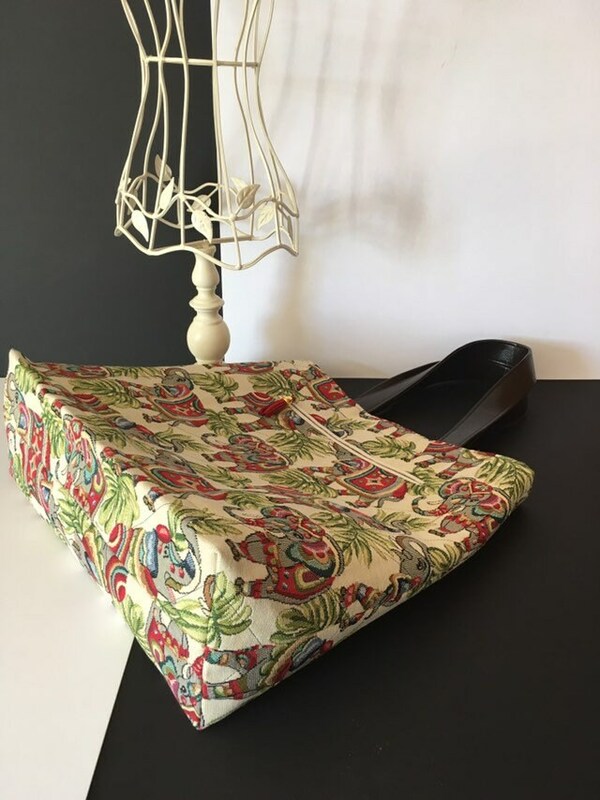 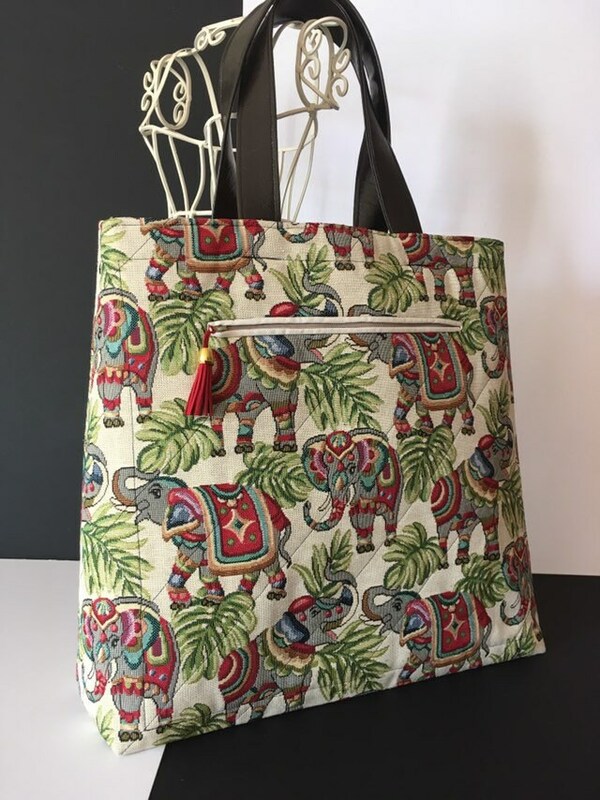 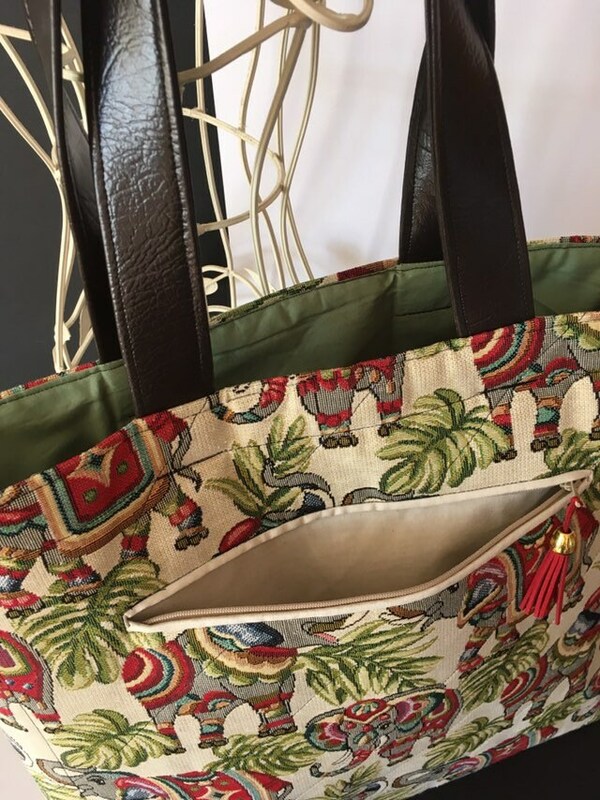 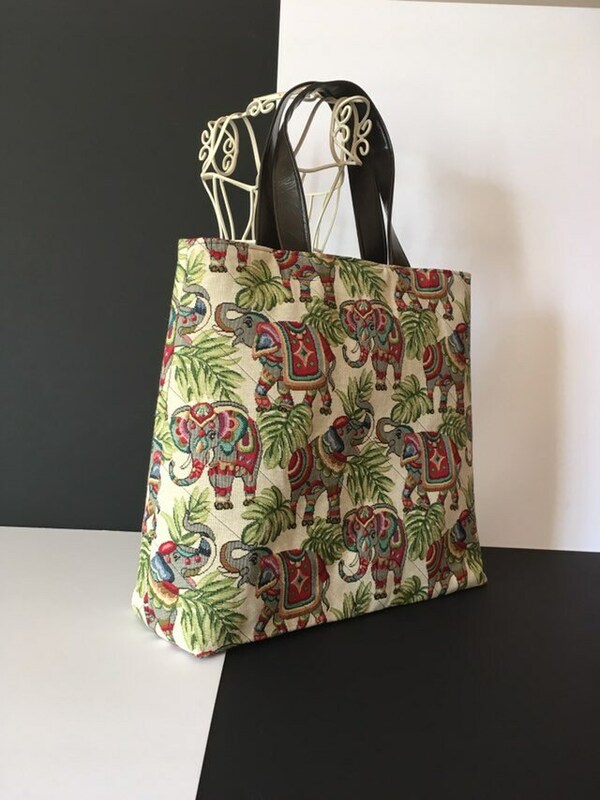 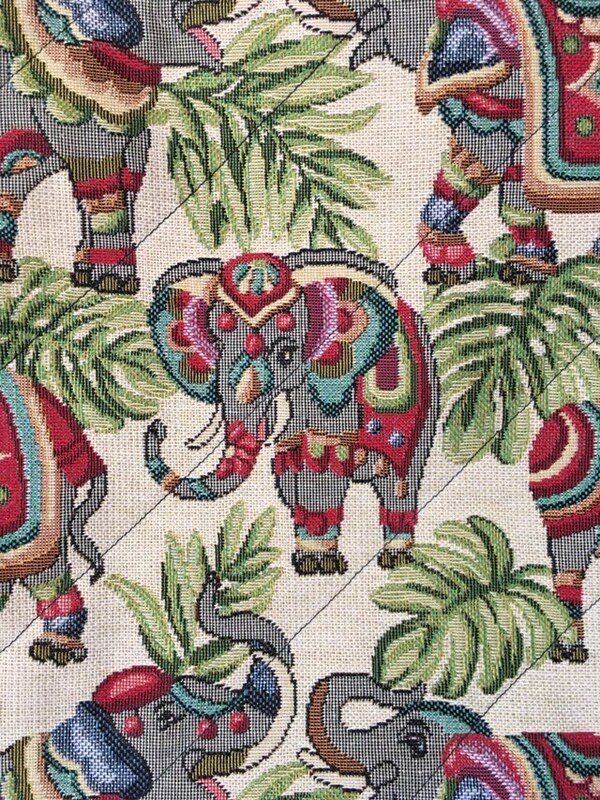 Fabulously roomy bag, featuring a beautiful fabric with elephants! 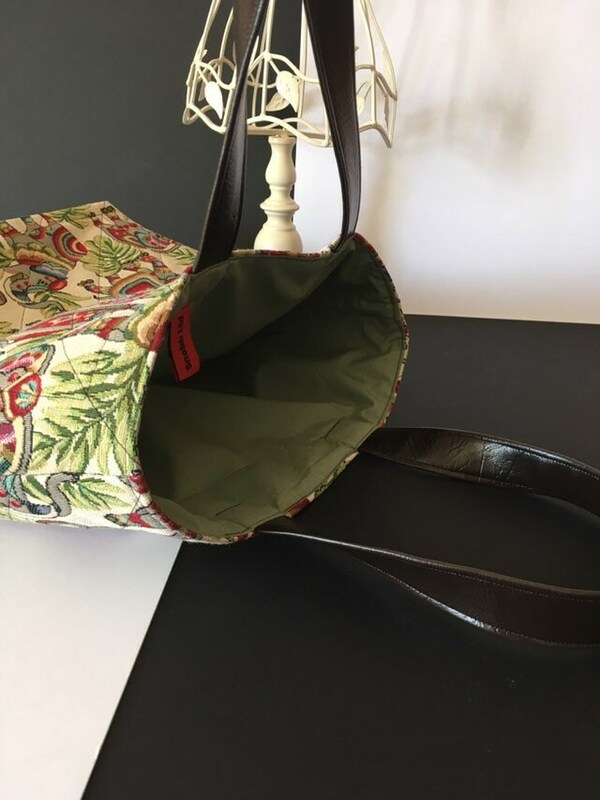 Lovely colours- greens, beiges and reds. 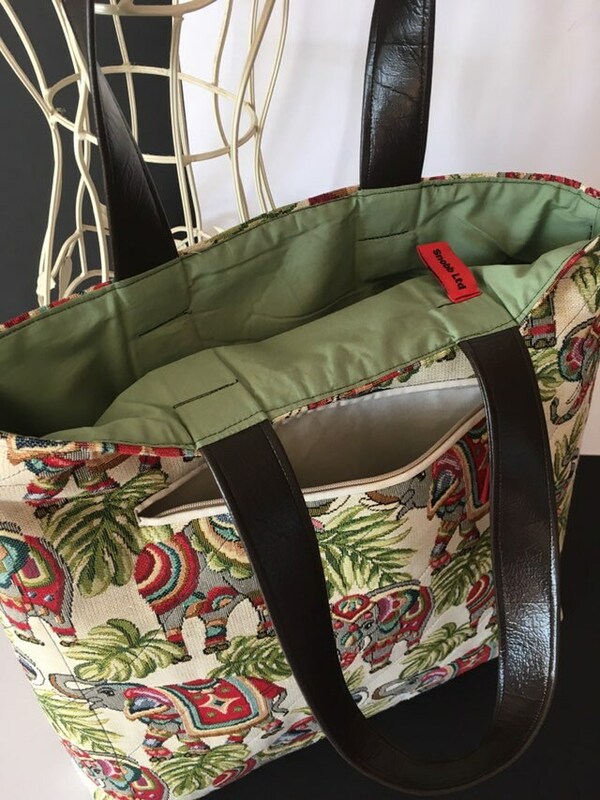 Large, zippered front pocket allows you to shop ‘til you drop, whilst keeping your valuables safe!